Pixel Intelligence is a portfolio of machine learning algorithms developed by HP Labs that make it fast and simple to add digital image analysis to your products and services. The algorithms unlock a range of capabilities including locating, analyzing, and grouping faces or objects and analyzing quality. Pixel Intelligence allows you to control your data privacy with on-premise hosting and processing, save processing time by avoiding external API calls, and manage costs by avoiding charges for external API calls. Pixel Intelligence provides both the flexibility to host our code at your datacenter and the convenience to use our simple API. On-premise hosting and processing helps you manage your costs by avoiding external API calls for your images. Pixel Intelligence is hosted and processed within your own data center, helping you to control your data privacy. Run real-time analysis on individual photos or from video, or analyze large libraries of images as a group. 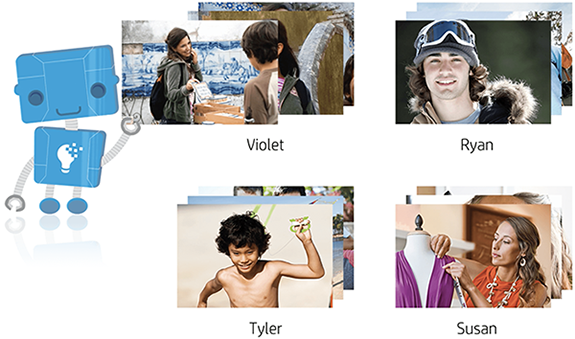 Accurately recognize and group individuals to easily organize and search through photo libraries based on which people are in the images. 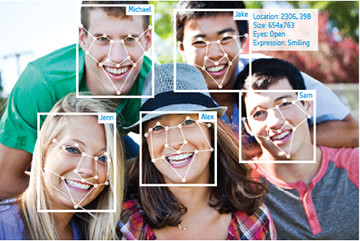 Identify and locate human faces in digital imagery. 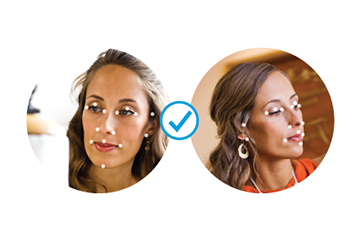 Analyze facial attributes (such as smiling, or open and closed eyes) and find the position of each detected face. Determine the probability that two images are the same person using facial features. Identify an individual’s face within live or static imagery, and use the information to match faces to databases. 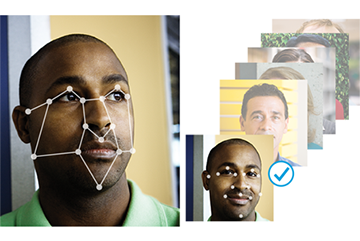 Match an individual's face to an existing database of faces for security identification and face verification. Locate and identify objects to organize and search through image libraries. Custom train the technology to find what is important to you. Locate and identify logos to organize and search through image libraries. Custom train the technology to find what is important to you. 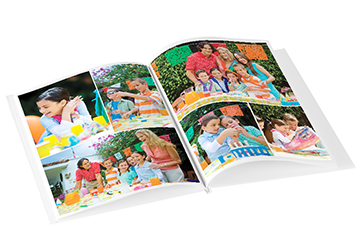 HP Collage Generator and Auto Crop sifts through hundreds of images compile the best photos, cropped and arranged to fit a page. 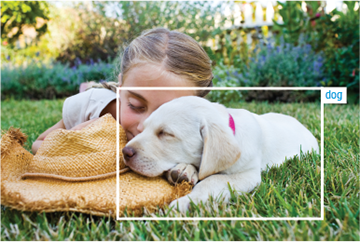 The BRIC (Block Recursive Image Composition) algorithm and Photo-on-Photo algorithm are integrated into the technology. Looking to get started with Pixel Intelligence?